Last week’s winner was announced yesterday. This week’s Sunday Funday, I am celebrating reaching over 300 followers. I have decided to give away 1 book per 100 followers (that is 3 books!!!). I wanted to have each book reflect the diversity, I try to keep in my blog (try being the operative word there ;-)). 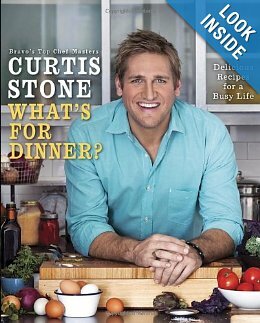 This is amazon.com #1 cookbook sold…. 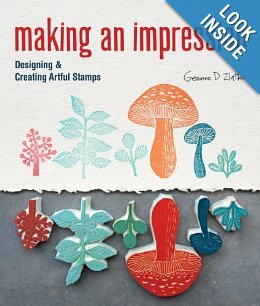 Recently released, Cheryl Arkison’s new book…. This is one of my personal favorites…. Leave a comment about the book you would like and why. I will do my best while drawing to match the books up with the comment. If you are a follower, you get a second entry. Just leave a second comment and let me know how you follow. This entry was posted in Uncategorized and tagged Cooking, giveaway, printing, sewing, Sunday Funday on September 7, 2013 by mlwilkie. 104. I would pick #1 because I love him!! 105. What’s for dinner – sounds great, I need some new ideas. 106. I follow on bloglovin. 109. 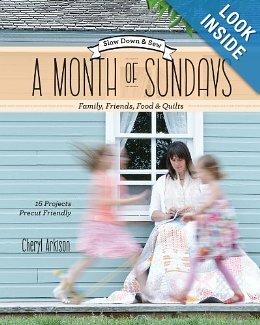 A Month of Sundays looks great not only does it offer quilt inspiration but wouldn’t the world be a wonderful place if every day were Sunday? I think so! 110. I’d love to win the sewing book – I’ve been wanting to try some projects out of that one. 111. Oooo Cheryl Atkins’ new book! I so loved Sunday Morning Quilts! The other ones are equally as awesome! 112. I now follow you on Bloglovin!